When you’re browsing the beauty aisle at your local drugstore, chances are you’ve seen shelves stocked with RoC products, sharing shelf space next to Olay, L’Oreal and Neutrogena. Or maybe your friends rave about some of the brand’s most popular products, including RoC Retinol Correxion Deep Wrinkle Cream. A few celebrities have also declared their love for RoCs products. When Kim Kardashian recently announced her favorite drugstore skincare products, she included RoC Retinol Correxion Deep Wrinkle Cream, along with cult favorites Cetaphil cleanser, Olay Regenerist Whip and Burt’s Bees Facial Cleansing Oil. But what makes RoC products different, and are they worth a try? RoC is a French brand that was created in 1957 at the Roge Cavailles pharmacy in Paris by Dr. Jean-Charles Lissarrague. Lissarrague was a Parisian pharmacist who believed in taking a proactive approach to beauty. His mission was to create innovative skincare products to help women look and feel their best. Lissarrague is behind many skincare firsts. He is credited with creating the first hypoallergenic skin care product and the first SPF sunscreen. The company was also among the first to discover a method for stabilizing retinol, which is the go-to skincare ingredient for fighting the signs of aging. Retinol, a vitamin A derivative, helps reduce fine lines, soften the appearance of wrinkles and targets hyperpigmentation. RoC sells a full range of skincare products including moisturizers, night creams, wrinkle treatments, eye creams and exfoliants but is mostly known for its anti-aging products containing retinol. What Are Some of the Most Popular RoC Products? One of the most popular RoC products is the RoC Retinol Correxion Deep Wrinkle Cream. The company says this slim gold tube contains nearly the same amount of retinol as you’d find in prescription formulas. The cream also contains skin-smoothing glycolic acid as well as zinc, which helps fight acne. The cream comes in a daytime formula containing sunscreen with SPF 30, as well as an evening formula. The Deep Wrinkle Cream isn’t the only buzz worthy RoC products. Here’s a closer look at some of its other products. The RoC Retinol Correxion Max Wrinkle Resurfacing System is a two-step process, containing an anti-wrinkle treatment as well as a serum designed to improve skin texture. The dual action system is designed to help reduce the appearance of crow’s feet and fine lines while boosting skin tone. Roc Retinol Correxion Deep Wrinkle Filler is a serum containing two key products- retinol to tackle the signs of aging, as well as hyaluronic acid to help hydrate the skin and plump it up. RoC Daily Resurfacing Disks are double side pads designed to cleanse the face while also giving it a deep exfoliation. One side of the pad is meant for cleansing while the other gives a gentle scrub. Day creams: RoC Retinol Correxion Max Daily Hydration Crème is a combination moisturizer plus wrinkle fighter. The formula is spiked with retinol as well as glycerin, vitamin C and dimethecone, a silicone. Night creams: RoC Multi Correxion 5 in 1 Restoring Night Cream contains retinol to fight the signs of aging while you sleep, and is also deeply hydrating. Eye Creams: RoC Retinol Correxion Eye Cream helps reduce the appearance of crow’s feet, dark circles and puffiness. Many of the products are available in fragrance free and sensitive skin formulas. What Ingredients Are in RoC Products? The hero ingredient in the RoC line is retinol, a proven wrinkle fighter. This vitamin A derivative has been used since 1971 to treat acne but it also effectively targets the signs of aging. It works by encouraging cell turnover, which leaves behind fresher, smoother looking skin. Retinols also targets hyperpigmentation while smoothing away the look of fine lines. RoC says it has been perfecting its retinol based formula for 25 years. Some RoC products also harness the power of Hexinol technology. The company says this is a molecule that helps “impact signs of aging skin before they become evident.” It work by restoring elasticity and firmness to sagging skin, smoothing out the appearance of fine lines and wrinkles, improves skin discoloration. RoC says the molecule helps hydrate the skin and preserve the amounts of collagen and elastin in the skin. RoC says it does this by working at the “heart of cells to optimize cell functions and consequently help reverse the signs of aging.” Other ingredients rounding out the RoC formulas include shea butter; squalene (an emollient commonly derived from olives or wheat germ); glycolic acid (which helps smooth skin) and ascorbic acid, or vitamin C which helps to brighten skin. Where Can I buy RoC? RoC is a drugstore brand that can be found at Target, Walgreens, CVS and Rite Aid, as well as Ulta and Amazon. How Much are RoC Products? As you’d expect from a drugstore brand, RoC products are reasonably priced, with most items retailing for less than $30. RoC Retinol Correxion Deep Wrinkle Night Cream sells for $22.99; RoC Retinol Correxion Max Daily Hydration Crème is also $22.99 while RoC Daily Resurfacing Disks are $9.99. The RoC Retinol Correxion Max Wrinkle Resurfacing System is the most expensive, at $29.99 while the RoC Multi Correxion 5 in 1 Eye Cream, which contains Hexinol, is $28.99. RoC is certainly among the most popular drugstore brands for anti-aging products, and its key ingredient, retinol, is the beauty industry’s all-star for reducing the signs of aging. RoC itself says it has completed a one year clinical study showing that the benefits of its retinol formulas increase with time and do not plateau. RoC says that users of its RoC Retinol Correxion Deep Wrinkle Night Cream will see results after 4 weeks, such as more radiant skin and reduced crow’s feet. After eight weeks, roC says that under eye wrinkles are smoothed and expression lines are visibly reduced. After 12 weeks, deep wrinkles and fine lines appear visibly reduced. Beauty editors are also showering the brand with love, and RoC has scooped up plenty of awards. RoC Retinol Correxion Deep Wrinkle Night Cream garnered a Beauty Choice Award from New Beauty magazine. Allure magazine dubbed RoC Retinol Correxion Sensitive Eye Cream one of the Best of Beauty products in 2018, and the Multi Correxion 5 in 1 Restoring Night Cream scooped up the same award in 2014. The RoC Retinol Correxion MAX Daily Hydration Crème is received an award from People magazine in 2018 and the ROC Multi Correxion 5-in-1 was named one of Good Housekeeping’s Best Anti-Aging Products That Actually Work that same year. RoC products also receive positive reviews on Amazon, with the vast majority of RoC products garnering four stars. RoC Retinol Correxion Deep Wrinkle Anti-Aging Retinol Night Cream has over 2000 reviews, and gets a four star rating. Fifty-five percent of reviewers give it five stars. Comments range from “This product has completely changed the appearance of my undereyes and forehead. I have been applying it to my undereyes and crows feet and forehead and my eyes look lifted and youthful” to “It definitely caused irritation around my eyes necessitating taking a break from it.” It’s important to note that any product containing a retinol may cause irritation to skin, so anyone using it for the first time should start slowly with a pea sized amount and buld up to daily use. RoC Daily Resurfacing Facial Disks get a 4.5 rating from 757 reviews. Customers rave about it; “This is one of the most effective game changers that I’ve ever used for my face, neck and chest… New skin cells abound and after one solid week of use my skin was clearer, fresher and softer.” Customers who didn’t love it say it caused breakouts or felt it was too rough or difficult to wash off. What Are Some Alternatives To RoC? RoC products may not be for everyone, or perhaps you’re looking for something that feels a little more special than what you can find at your local drugstore. One brand to consider for anti-aging skincare needs is Formulyst. The brand’s philosophy is long-term and effective skincare, and the product line addresses everything from wrinkles to dark spots and dry skin. 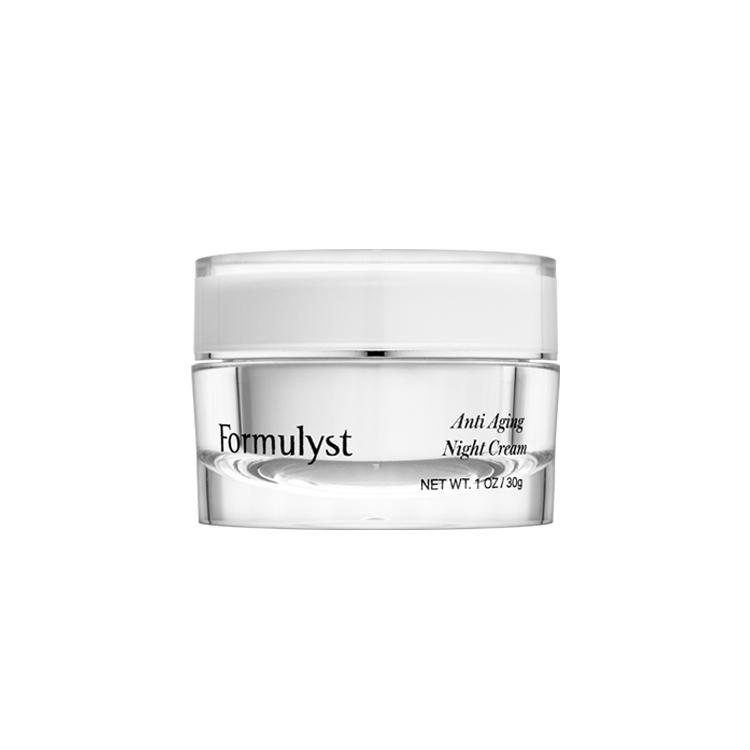 The gold standard ingredient for softening the look of fine lines, retinol, is the star ingredient in Formulyst’s Anti-Aging Night Cream ($59). What makes this formula different is that it contains a high dose of retinol but it’s also packed with ultra-soothing and hydrating safflower seed oil and jojoba to lock moisture in and minimize any potential irritation. Formulyst Retexturing and Perfecting Serum ($39) is powered by gentle but effective alpha hydroxy acid (AHA) which works to dissolve dead skin cells. Packed with plant based acids, this serum sloughs off dead skin cells, leaving behind fresher, smoother looking skin. If you don’t want to build your own skincare regimen, consider a skincare kit from Advanced Dermatology. 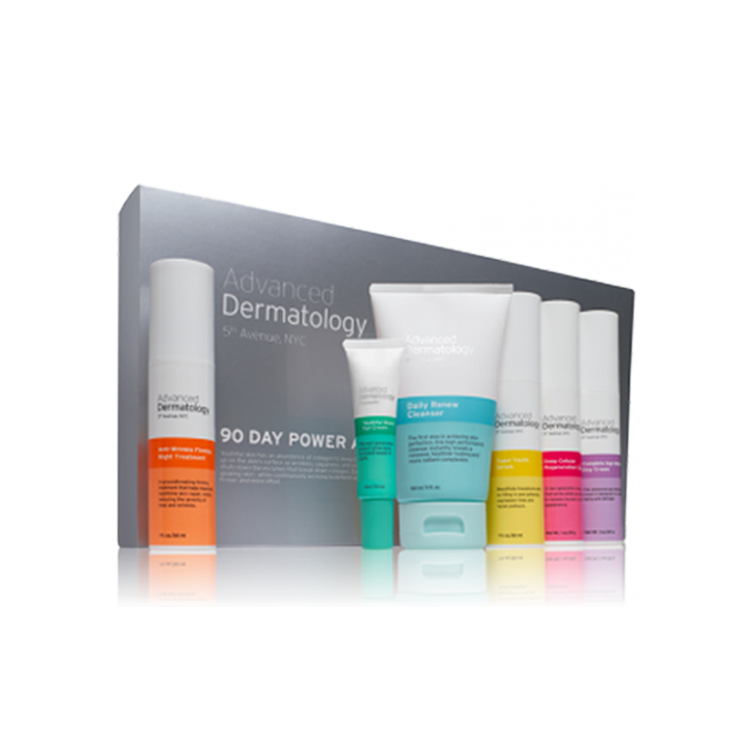 The Advanced Dermatology line includes everything needed to address the signs visible of aging. The kit includes a cleanser, serum, anti-wrinkle treatment, moisturizer, day cream and eye cream- in other words, everything you need for glowing, beautiful, healthy skin. This is a wonderful product with awesome results. Been using for 3 months, already noticable results. Hello everyone! I am 29 years old and started using this product for fine lines around my mouth and my forehead. I also wax my face regularly, but I just recently found out I cannot wax and use this product. I waited 7 days before I attempted to remove the hair with tweezers and this made my skin discolor kinda looks like the skin came off. My question is how long does retinol stay in your system and will my skin remain to be sensitive and peel for ever?! Someone please help! As I do need to wax I am pretty hairy in the face ! I am 45, with decent genetics and really didn’t start noticing wrinkles until about age 42…not to say they weren’t there, but no major concern. Have always been good about washing my face and using daily moisturizer with SPF 15 (Olay Complete for sensitive skin) beginning in mid- to late teens, almost daily, on my face. Wish I had used it on my chest & hands too. I tried the Boots 7 (advanced protect & profect serum, night & day cream that everyone is raving about 1time/day for about 4 weeks with my own Olay exfoliating cleanser & SPF moisturizer). It improved fine lines a little, but was so slow & I would not have know it was doing anything at all, if I did not take weekly photos. Without any research or recommendations, I had the urge/instinct to try RoC Retinol Sensitive Eye Cream, which I only applied a tiny bit under my eyes and on my Crow’s feet before bed/after washing my face. Wow, I saw a major difference the next morning with no additional serum or night cream. I can’t believe it. I am breaking it in slowly, every other day for the first 2 weeks, as I think is recommended for their eye creams. It also seemed to totally remove a little skin blemish I had under one eye too, after one use. Last night was my 2nd night and still very pleased. Not sure if I will be brave enough to apply on top eye lid or brow area, but I don’t have wrinkles there or sagging skin yet and kind of believe in only applying where there are problems because I believe the Boots 7 serum gave me smile lines, which I never had at all before using anything and am still trying to get rid of them. They greatly faded on their own, but not gone yet. I hope the great results continue and as I use up my other products, I plan to try their exfoliating cleanser, deep wrinkle serum for forehead and night cream. May stick with my Olay Complete Moisturizer, as it has done the trick for years, isn’t expensive, lasts a really long time and is not too greasy. I also like Aveeno products/Moisturizers, but their SPF has Oatmeal in it and that flakes when I have used it with any other products or serums underneath (however great if used with just a clean face). I hope my results continue to be amazing and that if I try any other of their products that I am as pleased or more so, as I am with their sensitive eye cream. The big test will be if it does anything for the dark circles, as it claims since that now is as big a problem for me as the Crow’s Feet & beginning forehead wrinkles. I only gave it 4 stars b/c I have not been using it long enough to give it 5, but if the results continue at this rate and I have no sensitivity issues…then it will be a 5 in the future. Definitely, the best OTC product that I have tried so far out of 3 brands. I feel lucky to have possibly stuck GOLD on my 3rd try. I have used Roc for 20 years and have enjoyed compliments on my skin since then. I am 46 years old and have been told I still look in my early 30’s. I am a non smoker and come from a family of good genetics. Roc has stopped the aging clock as far as my skin is concerned. It has reduced skin blotches (sun damage) and minimized any fine lines that are a normal part of the aging process. It is not expensive when compared to most skin care products. My great aunt is the person I thank for passing on this product to me when I was still quite young. This is strange how some creams 100% work on some people and don’t work on others. I guess buying a face cream is chancing 50-50. Every skin and personal circumstances are different. I guess we have to try , if we don’t like it we will not buy it again. Unfortunately even 1 buy from each of us is enough to make cosmetic giants rich. Hard decision to make. As we no one likes money wasting. Retinol and the traditional wax do not mix well. Waxing professionals should use a different type of wax if you are using Retinol based products. I’ve used the ROC multi correxion 5in1 restoring night cream & the daily SPF moisturizer for two months now. I’ve noticed my skin seems fuller, bouncier, & brighter. It has slightly helped with my dark spots, but I’m hoping that it will make a bigger difference with continued use. Should I introduce the ROC serum into my regimen to help diminish my dark spots? hi, i am considering buying this line and have read that if you use the retinol serum, you should not use a moisturizer that contains retinol in addition, as it may be too harsh. is this true? i was going to purchase the serum, the night cream and the eye cream… was even considering the day cream with SPF, but heard not to use retinol during the day… is this all too much to use together? any suggestions on a moisturizer to use in combination with the serum without retinol? thanks! You can get Roc products on Ebay pretty cheap. Much cheaper than the drugstore. That’s where I always buy them. I recommend a Roc eye cream. I was using a Roc product on my face and on my eyes. It was too strong for my eyes. Now I’m using their eye cream. It comes in a small white tube with gold top. It lasts a long time. You just need a tiny bit. It’s different than other Roc creams and is very gentle on your upper and lower eyelids. You need something more sensitive for those areas, esp the upper eyelid. I hope you like it. I’ve been using it for awhile and don’t plan to stop using it. It makes my skin look great and I’m going on 65yrs. My skin is tight. You should like it and have good results. Another thought. Aloe vera gel is very healing and hydrating. You may want to use that too. Best wishes. You can get it at any drug store and at some Dollar stores. I’d try to find it in a clear gel, since it sometimes comes in a green gel, that has dye in it. I haven’t used the Roc Retinol Sensitive night cream but I do use two other Roc products and I’m very happy with them. What I’d suggest is you look for reviews online of that product first, if you can find any. Roc customers are very devoted to their products. I’ve been using it for awhile and for the money you can’t beat it at all. I’m very happy with it. Please help me, I have an M1 allergy and need to know the ingredients of your products before purchasing. I would like to speak to somebody, by e mail if possible. 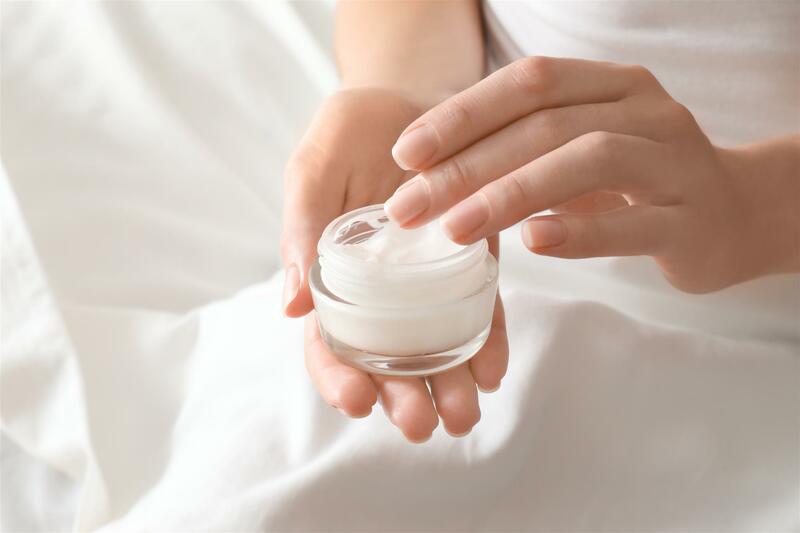 Do any of your products contain METHYLISOTHIAZOLINONE (MIT)? I believe this product can come by several other names. And do your products contain parabans? It actually does thin the top layer of the skin, but it thickens the collagen, which gives the skin more body, fullness & elasticity. That’s good though, that’s what youthful skin looks like, bouncy and translucent. I’ve been told by dermatologists that you should stop using it for a week or two, depending on your skin type, before getting skin treatments like peels or waxing. Waxing always takes off a layer of skin though. 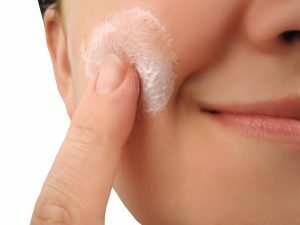 It’s just that normally it’s a layer of dead skin cells so you don’t notice, but when you’re using retinoids or have recently gotten a peel you have fresh, live skin on the surface. No…not true…in fact quite the opposite…Retinol should increase the thickness of skin…Prednisone, Hydrocortisone creams will thin the skin…perhaps that is what she meant? My initial reaction is that the technique of the aesthetician is to blame for your skin peeling. I had my brows waxed and some skin peeled off. The esthetician said it was possibly because I use retinol products and they thin the skin. Could this be true? I’ve ordered Roc Night cream sensitive and after one day i can see results guess because it has HA in it.I didn’t like it at first i wanted a more high end product like Retin A since it has so much positive reviews but after reading Paula’s choice reviews on Roc i decided to give it a try.I belive in eating healthy and lots of copper will keep wrinkles at bay and sunscreen and exfoliation,but eating well is the key to youth! Roc retinol correxion serum will not help acne serums. I recommend it if you have fine lines and wrinkles. It will smooth out smaller fine lines within a few days but you need to use it everyday. Once you stop the lines come back but least it works. Does anyone know if this works on acne scars? I have been using this product for about a month now and I have not seen any improvement in my skin. I do have sensitive skin so I am using RoC Retinol Correxion Night Cream Sensitive. Apparently this is a mild version of the original and has half the retinol as the original Roc Retinol Correxion. The product is affordable so I do not feel as though I have been ripped off but if I could see some visible difference I would continue using this product indefinitely. I LOVE this product! It ralley takes the years off! I am 46 and, I have people tell me that I look like I am 30. I have been using it for about a year and, love the results. It ralley does get rid of the wrinkles and, makes your skin luminous. It even seems to help ease breakouts. You may notice a slight tingling when you first start using it, make sure you use sunscreen with this product. I have used far more expensive products and, found this to work better for far less money. I would highly recommend this product as well as any other of the ROC products. I love this stuff. I used Roc Retinol Correxion Cream on my face after being recommended to use it by a friend who works in the beauty industry. It does cause your face to peel but it will make your skin look a lot younger if you use it continuously. All products have the potential to cause allergies, especially retinol based skin care products. I had low expectations about Roc Retinol Correxion cream due to the low cost of this item but it seems to work and now I use the day and night cream everyday but I need to use my own spf sunscreen as I have very sensitive skin. I cannot rave enough about Roc Retinol Correxion Serum. This product smells sweet compared with other retinol products and it works. In my opinion, anybody who cares about their skin will use a retinol serum and Roc makes the best one. Roc Retinol is exceeding my expectations! I have oily skin and most moisturizers cause me to breakout or for my skin to look shiny. Everybody says retinol creams are for aging but after doing lots of research online it doesn’t help wrinkles that much and it is actually more for spots and blotches. Roc Retinol Cream is hands down the best retinol product I have ever tried. It even beats the product the dermatology dispenses in her clinic. It helps with spots and takes away all the damage the sun has caused and believe me I had a lot of sun damage. I live on the water and sunbaked for most of my teenage and adult years and I was a full freckle face before I started to use Roc. i use roc retinol correxion deep wrinkle night cream religiously each night. Intially, I was hesitant to buy this product because I prefer using Estee Lauder products. I have my entire adult lift since our financial sittuation turned for a negative I have to cut back my spending. I have very happy with roc retinol correxion. When I use Roc, I feel like my face is totally soft and smoth. Roc retinol cream is great for fine lines and wrinkles. It also helps lighten age spots and sun spots. I started using roc last year and noticed my skin looked nicer. I just use one skin care product and even use soap and not cleansers but I think roc works. I have been using the RoC retinol cream for 8 years now. The package and everything is the same. It is a really good product and I like the way it makes my skin glow. I am 40 and have good skin because of the retinol and the compulsory use of sunscreen. IT does nothing for the deeper wrinkles but miracles for the smaller ones.